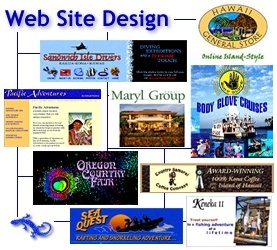 Since 1996, Global Gecko has worked with clients from Oregon, California, Hawaii, Colorado, Missouri, and New York on over 100 web design projects. Many of the sites we developed have undergone changes over the course of time, as all web sites should. We feature here some of our original designs as an example of our work.